Your leading source for bird feeders. seed feeders, hummingbird feeders and much more. and orioles, such as their species, characteristics, nesting habits and food preferences. Birdwatching 101 outlines great bird watching locations, equipment, and landscaping tips to attract our fine-feathered friends. AS a member of the Perky Pet Blogger Review Panel I receive a new bird feeder every month to review and check out new birds in our area. 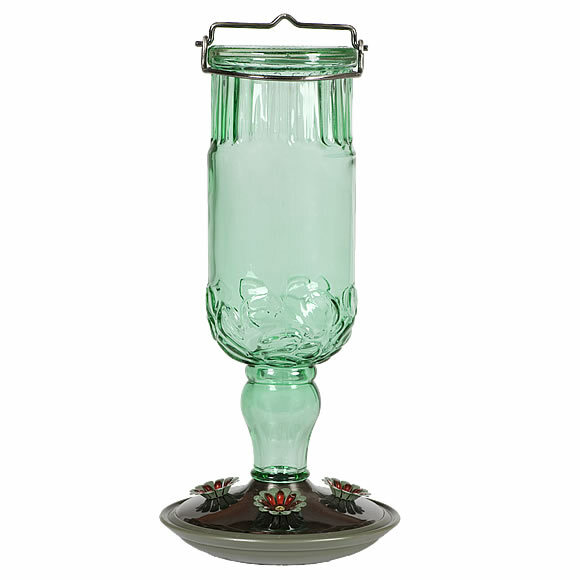 The Perky-Pet® Green Antique Bottle Hummingbird Feeder will bring a classic touch to your yard and provide your tiny feathered friends with a tasty treat! 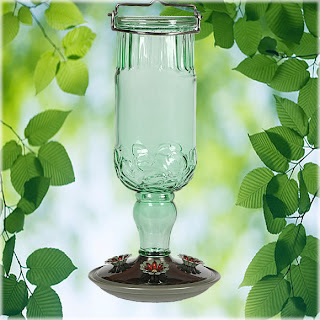 This large capacity feeder holds 24 ounces of nectar to ensure that there will be plenty of nectar to go around! The metal base has four flower feeding ports with brushed silver accents. Cleaning is simple with the removable base and hanging is a breeze with the attached metal hanger. The kids and I really like this feeder. We have seen many hummingbirds in our area since we have hung it up. This feeder was so easy to use and hang. We filled it with nectar and hung it up on a tree branch. It took only a few days for the hummingbirds to show up. When a few started stopping by they must have spread the word to their other hummingbird friends cuz more are stopping in daily. 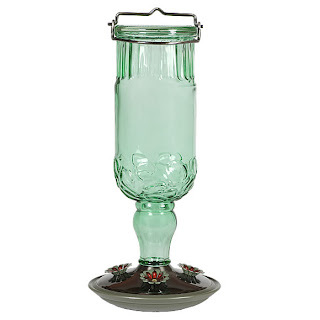 The Antique Glass Bottle hummingbird feeder is available in blue, red or green. They are $19.90. It well worth the price for the family share time the bird feeder brings. When the kids see a new bird they want to look them up and see what kind of bird it is and where they are from. I give it a 5 out of 5. It is very sturdy and a great family conversation maker! 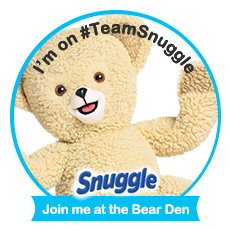 The kiddos luv the Perky Pet blogger program. They like to see what birds are coming this month! disclosure~ I received a free Antique glass bottle hummingbird feeder in exchange for the review.